The Republicans’ “golden boy” – and a loyal, unquestioning tool of the powerful special interests – handsome, unthreatening, Florida governor-by-default Marlon Conrad seems a virtual shoo-in for re-election. That is, until he undergoes a radical personality shift during a bloody military action in the Balkans. 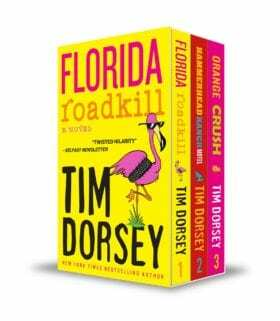 Welcome to Tim Dorsey’s slice of America – where nobody gets out unscathed and untanned!